The Houjicha listed below are Rishouen house blends containing green tea leaves and stems grown in the Kyoto prefecture and sand roasted according to traditional artisan methods dating back from the Japanese Edo period. 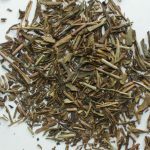 The harvest time for these leaves and stems is late spring for the highest grades, and just after the spring harvest – bancha- for the most affordable grades. The higher the grade, the lighter the roasting. As a result of the expert blending by our tea master, the Rishouen Houjicha reveal three essential characteristics: inviting aroma, clarity, and strength of taste. 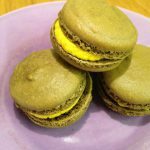 They will pair well with meals of any kind and enhance the enjoyment of sweets and savory snacks with their wild, nutty and attractive flavors. Easy to infuse, these are wonderful daily teas that anyone can savor at any time, warmed or cooled. A very mellow tint, paired with an aroma of perfect refinement. This tea resulting from decades of blending experience is assembled by our tea master to produce a most elegant Houjicha of unrivaled quality in terms of fragrance and flavor . 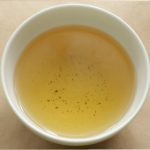 This elegant Houjicha reveals sharp and pure, full-bodied flavors that will make a fine addition to a delicate meal. The blend is composed of fragrant, lightly roasted spring harvest Aracha (semi refined) Sencha leaves and stems grown in full sunlight in the Kyoto prefecture. Wild, yet comforting fragrance. Clear amber liquor. Deep and sharp, bold nutty flavor. 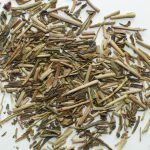 The Tokujou Houjicha is one of our best sellers. It is a good quality Uji tea we think of when we want to offer tea to our friends and family. This tea is also commonly served at high ranking restaurants throughout Japan. This tea is assembled from spring harvest Aracha Sencha (semi refined leaves) grown in full sunlight in the Kyoto prefecture. The blend includes a large ratio of stems resulting in a strong presence in regards to both fragrance and aroma. Fragrant and full bodied daily tea. 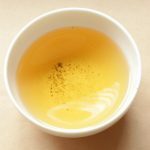 This tea is easily accessible to beginner and expert palates alike. 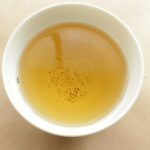 If you are unsure of your taste for Houjicha, this is a great place to start. 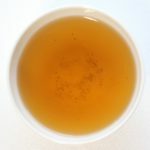 This rank simply labelled ‘Houjicha’ serves as a point of reference, as it indicates what can be expected from the higher grades blended by our tea master. This blend is popular with our partners in the hospitality sector in Japan (restaurants). It is composed of Kari Naoshi Bancha harvested after the first harvest of the year in the Kyoto prefecture. During the first harvest in spring, the tea bushes are cut once as part of the harvest process. After the first harvest, the tea bushes go through a second trimming made by the producers to allow the trees to rejuvenate after giving a lot of energy to sprout new leaves in spring. The leaves harvested during this second trimming are referred to as ‘Kari Naoshi Bancha’. ‘Kari’ is the Japanese term for the cut done when trimming, while naoshi refers to a ‘redo’, as the trees go through a first cut when the spring leaves are harvested. Bancha refers to leaves harvested outside of the main harvest periods. This Houjicha embodies all the expected flavors, but with a particular strength of taste. With this tea, composed of Kari Naoshi Bancha, it is easy to create the atmosphere of a Kyoto teahouse. Ideal for moments of simple relaxation, or paired with food, Kyo-Musume is sure to please. Rich fragrance, pretty ‘Kitsune Iro’ (fox color) liquor. 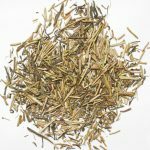 We recommend infusing this Houjicha in a great quantity so that it can be enjoyed throughout the day, like an herbal iced tea. Commonly consumed by the locals in Uji, it is especially recommended for enjoying at picnics and parties with friends and family. Of course, our Uji-Musume Houjicha can also be enjoyed warm in winter. The blend is composed of Kari Naoshi Bancha harvested in the Kyoto prefecture after the first harvest of the year. 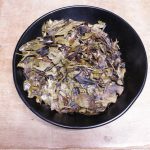 This Houjicha is assembled by our tea master to obtain an affordable blend maintaining a rich fragrance and leaves that are not over burnt so that they can yield a good looking amber liquor. Our Hojicha powder results from the careful roasting and pulverization of high quality Sencha green tea leaves grown in the Kyoto region and chosen for their perfect balance of strength and subtlety. 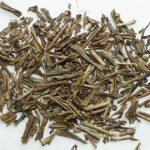 Before pulverization, the leaves are sand roasted according to traditional Hojicha manufacturing methods so that they can obtain their signature amber color, nutty, caramel flavor as well as their enchanting toasty aroma. 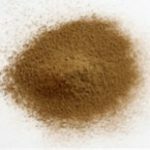 For tips and ideas about how to use Houjicha Powder, please click here. ‘Kyobancha’ (Kyo means from Kyoto) is a type of Bancha also called ‘Iribancha’ by the people of the Kyoto prefecture. It is said that this tea was originally discovered after a forest fire: the smell of scorched tea trees spread through the land, intriguing the surrounding inhabitants. Iribancha is said to offer results close to the first brewing experimentations carried out by Japanese people of the past. This is a very traditional daily tea used by households and restaurants alike for many years (it can be prepared in large quantity to be enjoyed all day). 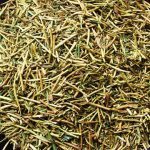 Our Iribancha is made from stems and thick leaves harvested in winter (February-march) when the tea trees are trimmed in preparation for the spring harvest. The leaves & stems are steamed, but unlike other Japanese loose leaf teas, they are not rolled during the production process. They are then dried in the sun and roasted in large iron pans according to traditional production methods. As a result, they are seared in places, revealing a unique smoky aroma, with a full bodied, sharp flavor. Iribancha can be served cold in summer, and hot in winter for climate-appropriate refreshment. 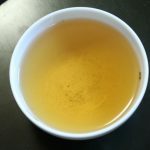 This tea can be infused in boiling water (2L), with 15-20g leaves infused for 90 sec. Filtering the leaves out and cooling down the resulting liquor allows to obtain enough tea to last through the day, enjoyed cold or reheated. 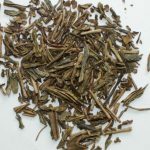 Like Houjicha, Iribancha is mild in caffeine, and enjoyed by elders and young children alike.